Strong demand, tightening vacancy and a robust rental growth outlook will see the Sydney CBD office market outperform the national average over the next three years, according to CBRE's recently released Office MarketView report. Sydney has the tightest vacancy of all Australia CBD markets, currently at 6.6 per cent, down from 8.4 per cent 12 months ago. Residential conversions and strong take up in the secondary market propelled H215 net absorption to 69,000 square metres, bringing full year net absorptions to ~130,000 square metres for 2015, the highest annual net absorption recorded in six years. Demand is forecast to see continued momentum over the next three years in Sydney with vacancy forecast to reach lows not seen since pre-GFC times. CBRE's Associate Director Research, Felice Spark, said that absorption levels had rebounded significantly over 2015 in both Sydney and Melbourne, with Sydney seeing strong take-up from the IT sector. Sydney experienced an increased level of enquiry for space over the last quarter of 2015, particularly in the larger end of the market, with IT, Finance and Insurance and Professional Services all recording significant increases in enquiry - a positive indicator for future demand and take-up. Prime net face rents increased 1.7 per cent in Q4 2015 to average $932 per square metre, with overall prime net effective rental growth of 6.6 per cent recorded for 2015. Secondary net face rents also increased over the quarter by 1.0 per cent to average $575 per square metre; however secondary rental growth outperformed over the year with 13.4 per cent net effective rental growth recorded. The substantial pipeline of secondary conversions in conjunction with prime completions over 2016 is forecast to see secondary asset rents outperform prime rents over the near term. 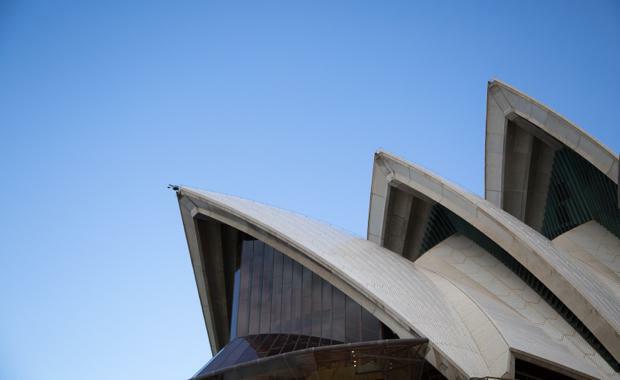 "While incentives remain at historical highs in Sydney, the medium term outlook for absorption and rental growth may see them trending downwards sooner than initially expected, particularly in the secondary market," said Ms Spark. "Declining incentives in conjunction with solid face rental growth will result in some strong net effective rental growth in Sydney over the few years. "Foreign investor interest surged in 2015, with the largest concentration of activity centred in Sydney. According to CBRE Research, approximately 54 per cent of total 2015 office investment purchases across Australia were made by foreign investors. This compares to 34 per cent in 2014, 33 per cent in 2013 and just 23 per cent in 2012. Sydney metro recorded circa $7.3 billion worth of office sales transactions in 2015 with 61 per cent of this value derived from foreign purchasers, a higher proportion than any other market in Australia. In Q4 2015, prime yields in Sydney tightened by a further six basis points to an indicative yield of 5.4 per cent - just 20 basis points away from the record low of 5.2 per cent achieved in the December 2007 quarter at the peak of the cycle, pre GFC. Secondary yields witnessed a sharper compression of 20bps to reflect an indicative yield of 6.4 per cent. CBRE Research is forecasting further yield compression in the first half of 2016 in Sydney before yields stabilise and then witness some moderate decompression in the wake of rising bond yields. "While yields have already reached record lows in Melbourne, we may see Sydney follow suit over the next quarter pending some significant transactions currently in due diligence," said Ms Spark.